The concept of Lehka Hlava is to delight your soul and clear your head. At this restaurant, they offer you a fantastic moment when you just relax and sharpen your sense to enjoy the ambiance, smells, sounds and the taste. 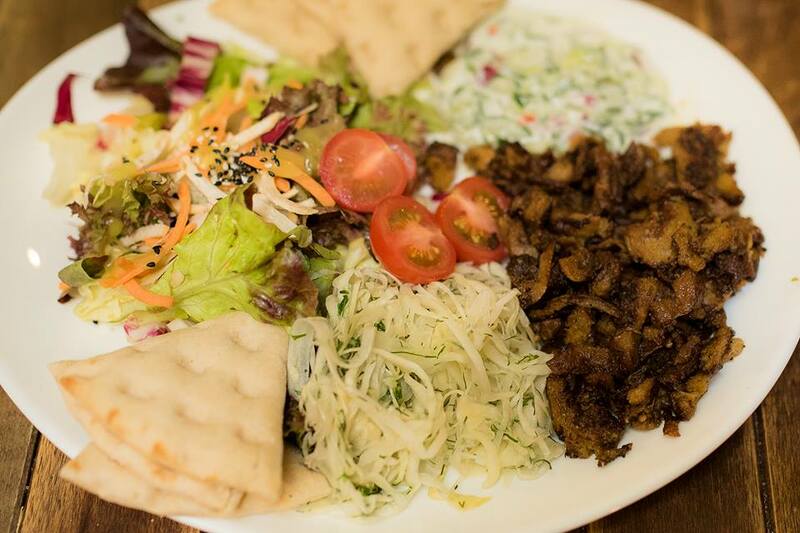 This place is not just a vegetarian restaurant, and you will find a different world beyond their welcoming opened door. Even meat eaters will be attracted by everything of Lehka Hlava. 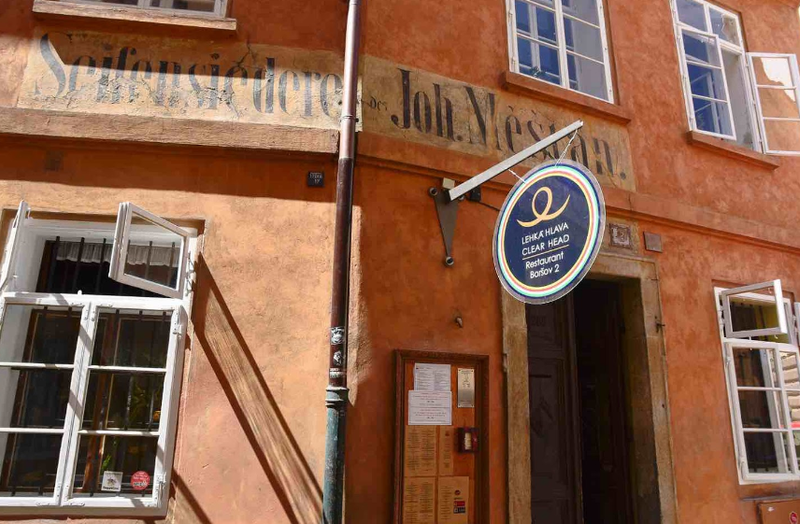 Lehka Hlava started in 2005, but the building has more than 500 years history. They have 3 main rooms inside and each one is designed by local artists and has a unique atmosphere not found in any other restaurants. 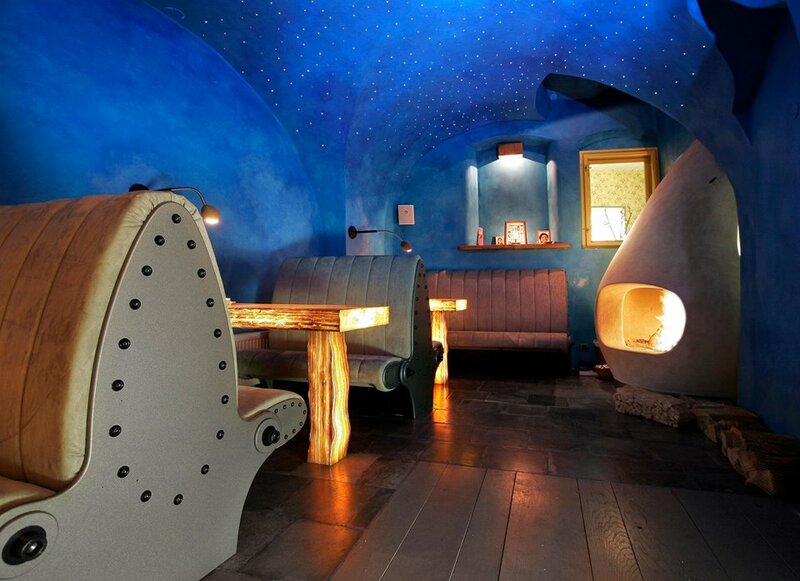 They have dim lights, upholstered sofas, and decorated walls and you can even find a lizard on the ceiling. Moreover, the most remarkable one is the Celestial room. This room has a fireplace and the starry sky. All these designs are simply beyond what people expect for restaurants and you will realize that your soul is enjoying that and it’s very relaxing. 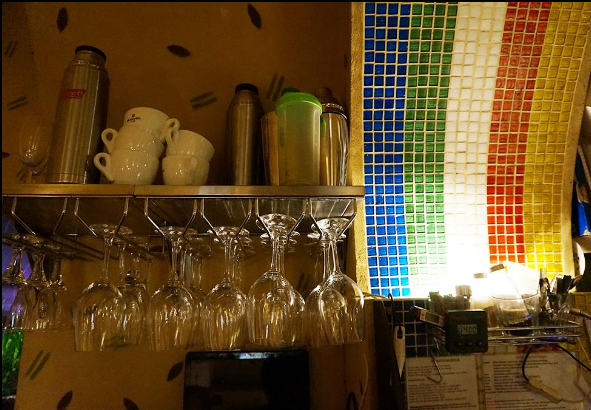 They also have a lovely bar and open kitchen, that way you can glimpse how they prepare foods. Lehka Hlava is always changing and never stops and stays at the same level. To catch up with the change of the demand and preference of people, they are trying to improve their foods. 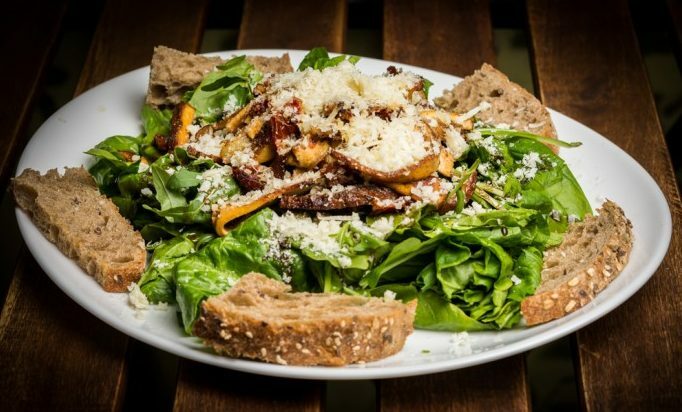 They divide their menu into autumn and spring menus and let you enjoy seasonal menus. Products they use are all from locals and use the freshest ones in each season for their meal. This is why no matter how many times you go, a little surprise is waiting for you and the meal is always better than the last one you had. At the same time, the most popular dishes are not changed and are always there for you. Lehka Hlava is very good at bringing out the flavor which ingredients originally have. Hence they don’t use many spices on their dishes and they are totally clean to your body. 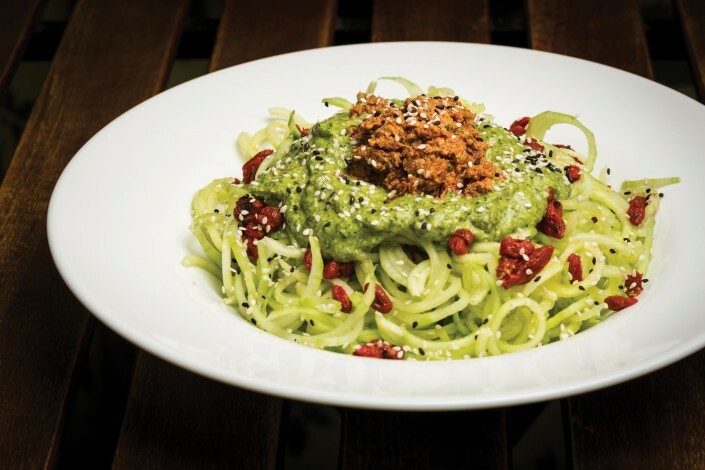 The popular menus here are Raw spaghetti made out of cucumbers(225KC), Cantonese tofu (225KC) and beetroot burger (215KC). The cucumbers spaghetti have a nice texture and are like real spaghetti. Highly recommended especially on hot days. The Cantonese tofu is served with the jasmine rice. The sauce is very tasty and you will like crispy vegetables as well. If your company is a meat eater, beetroot burger is recommended. Many people call this the best veggie burger and it will not disappoint you. Also, Cheese burger (235KC) is very rich and satisfies your stomach. As a dessert, please try raw cheesecake (130KC). It looks very cute and tastes nutty and fabulous. Drinks here also give a great impact on you. The most recommended one is their fresh juice. They are made with hard-working juicer with noisy sounds. The fruits are carefully selected and they all 100% pure fruit juice. Lehka Hlava also has a good selection of tea. Please choose yours based on which timing you have, before, after or accompanying the meal. The size of the mug is quite large. Hence if you like medium strength or stronger tea, ask the staff for a normal size cup of water or order two tea bags. They do not sell spirits, however, there are nice selections of premium wines and beers. 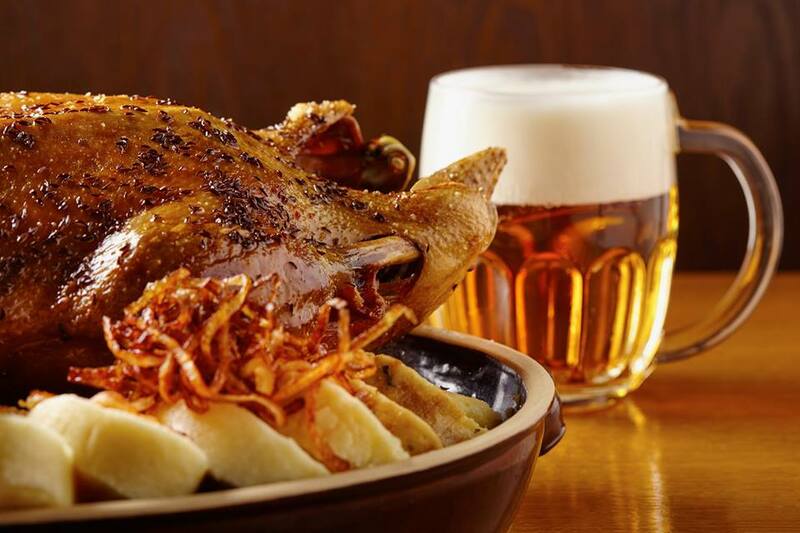 【Prague】Want to Have Fresh Beer With Czech Food? "Kolkovna Celnice"
【Amsterdam】The Happiest and Greatest Apple Pie, "Winkel 43"